I don’t even know where to begin in telling you about my trip to Malawi. The trip was educational and fun, inspiring and disheartening, energizing and exhausting – it was basically all of the emotions stuffed into one week and I’m still kind of reeling from it all. I am planning to do a series of posts called Snapshots from Malawi over the next several months because that is the only way I can even begin to do justice to the stories from the trip. One of the main focuses of our trip was visiting with farmers who work with Heifer International. 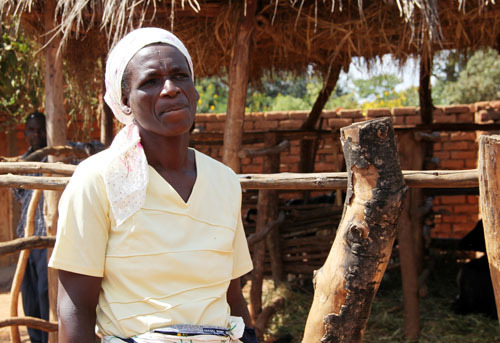 Luiza Mzungu, a 47-year-old widow from the village of Gomani, was one of those farmers. I will share more of her story with you in a future post, but she shared a phrase that resonated with me on many levels and is, I believe, the perfect way to begin this series of blog posts. As Luiza was talking with us about her cows and her life she said, “You came and held our hands to bring us where we are.” At the conclusion of that sentence, Luiza and her neighbors began to cheer and yell with joy. Luiza is right. Heifer did come to Malawi and held her hand, guiding her to greater economic independence and a better life for her family. But the hand holding is not a one-way action. 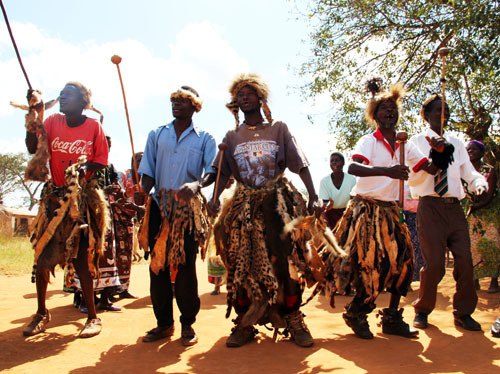 The Malawians we met wholeheartedly welcomed our group to their villages and not only held our hands but grasped them firmly. These people held our hands, looked us in the eye and shared their sorrows and their joys, their challenges and their hopes. They held our hands and taught us things we could never have learned any other way. They held our hands and proved that the world is indeed small. They held our hands and brought us to where we are today. The Gomani Village Welcome Wagon. Much more interesting than a basket of blueberry muffins. 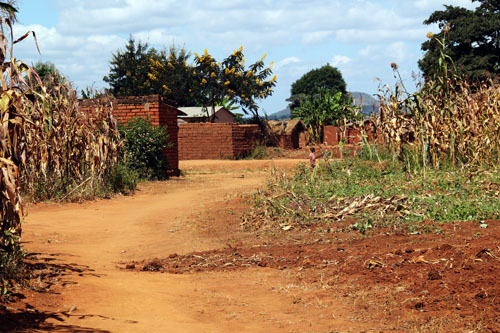 Our first night in Malawi was near the capital of Lilongwe, on the outskirts of town. As I lie in bed that night, the quiet was striking. The silence gave me a chance to ponder and wonder about what was coming that week. As morning arrived, the sounds of birds and roosters began to fill the air and I was ready to go! Honestly, looking back on that night and morning, I had no idea what I was getting into or just how profound the week would be. Sure, in theory I knew it would be a “life-changing” trip. But I didn’t know I would hold so many hands. Those hands have led me to a new place and I look forward to grasping your hands to bring you on this journey, too. I traveled to Malawi as an expense-paid guest of The ONE Campaign (www.one.org) and Heifer International (www.heifer.org). We visited to see the economic progress””and the lives changed””made possible by U.S.-funded programs and Heifer International’s donor-supported programs. ONE is a campaigning and advocacy organization of more than 6 million people taking action to end extreme poverty and preventable disease, particularly in Africa. Not politically partisan, ONE raises public awareness and presses political leaders to combat AIDS and preventable diseases, increase investments in agriculture and nutrition, and demand greater transparency in poverty-fighting programs. ONE is not a grant-making organization and does not solicit funding from the public or receive government funding. Heifer International’s mission is to end hunger and poverty while caring for the Earth. For more than 70 years, Heifer International has provided livestock and environmentally sound agricultural training to improve the lives of those who struggle daily for reliable sources of food and income. Heifer is currently working in more than 30 countries, including the United States, to help families and communities become more self-reliant. Thank you for sharing this tremendous experience. A great read and the images help bring it to life. thank you so much, and you’re welcome! Jane, your excitement even before the trip was infectious, and I can’t wait to see it unfold in this series. What an incredible experience! awwww, thanks so much, liren! I really appreciate it – and thanks for being excited about the journey, too! What an amazing experience Jane! It’s beautiful and I’m so happy you got to have this experience so you can share it with us. Can’t wait for your snapshots series. thanks so much, wendy. I wish you could have been there with me!! I am so glad that I read this. Your writing i beautiful and I feel like I was standing at your side. Can’t wait for the next chapters. Thank you. thank you for your kind words, rosalee! so happy you are looking forward to all the post! thank you! What an incredible experience you had. I can’t even imagine… Beautiful. So amazing! I can’t wait to read about your experiences. Jane, loved this post. my favorite quote of the week; “You came and held our hands and brought us to where we are”, okay now teary again. happy Friday! Loved spending the week with you! So beautifully written. I can’t wait to hear more about it. I am excited to follow this as you keep writing and sharing photographs over the next months!